Efficient, affordable, quality demolition and site work is the result of the right people and experience. We provide that experience for your demolition, excavation and site work requirements. With a combination of great crews and the most efficient equipment – we deliver on time and on budget. Whether you are removing an obstruction or hazard or preparing a site for a new building or home. We do complete structural demolition and don't stop until the job is done. Our team will safely dispose of the materials in our recycling facility for your peace of mind. Demolition is not a do-it-yourself job - let our experts handle it for you. From single operator residential demolition on individual lots to large commercial complex tear downs – we accommodate a wide variety of work with our experienced crews. We are Eco friendly by utilizing our Class B recycling facility for disposal of the debris. We are proud to be a licensed and insured company. 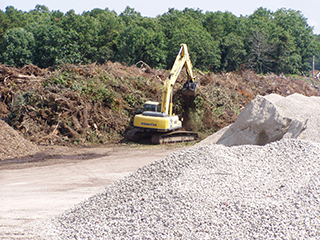 We are certified by the New Jersey DEP, as well as the State of New Jersey for demolition and recycling services. Graded or flat, soil or stone – we can provide the level or sloped finish you require. Whether your job is big or small, residential or commercial, we can provide you with reliable service. From additions to single-family homes, or from shopping centers to industrial parks, we can provide the excavation you need. From Start to Finish - Our reliable excavation services don't end once the job is dug out. 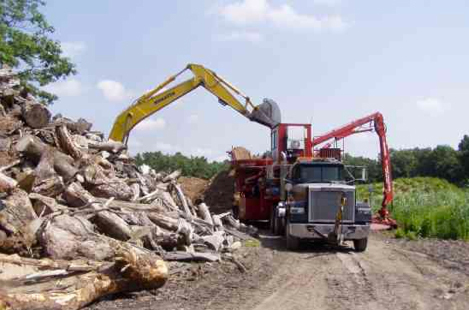 We also supply quality hauling services to remove your debris into our recycling facility. Our crews can handle just about any size job, from the small lot clearing, to large commercial projects – we clear sites safely, cost effectively and protect the environment by recycling these items with our Class B recycling facility.